Klein Jan Jansen is chapter two from a family affair; meet the ladies. Klein Jan Jansen and his moms meet blind Ouma quite by coincidence. 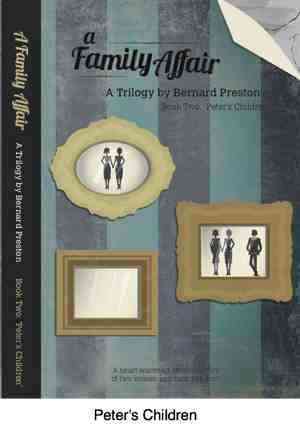 Chapter Two is taken from A Family Affair by Bernard Preston. Later that same week, on the other side of Johannesburg, two young women were planning their weekend. One of the quiet highlights of their week was a Saturday shop at the mall. ‘Ciggies is having a sale. Can we get there a bit early this morning, Santie? I need some new clothes for KJ,’ Janet Twycross asked as they were finishing breakfast. She is a particularly attractive woman, mid twenties and honeyblonde to the roots. Even in the mum at the breakfast table role most men would have difficulty not staring. ‘No problem, just let me brush my teeth and I’ll put the pram in the boot,’ replied her friend Santie Veenstra. Janet went about getting Klein Jan ready for the trip to town. She rather enjoys the Saturday morning outings with her toddler, and hums a few Peter Rabbit lines quietly to him as she changes his diaper. The sale turned out to be a disappointment, though, and they were pretty weary and disgruntled by the time the grocery shopping was finished. Ciggies had obviously imported some cheap and nasty baby clothes for the sale and the young women left without buying a thing. 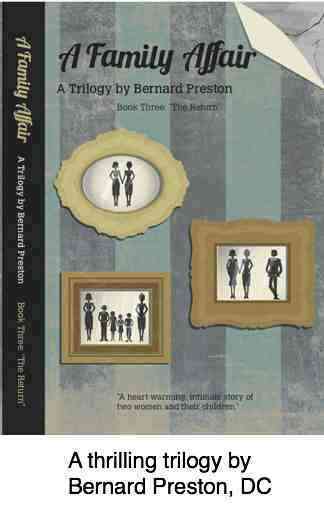 Women in love is an absorbing tale from A Family Affair; you'll love it. Prove me wrong whatever your opinion on lesbianism. Klein Jan Jansen is Janet's son. Wandering back into the mall, Janet pointed, ‘Look, there’s a nice little café. Let’s have a cup of coffee and piece of tart.’ ‘Mm, good idea, I think we need it. What lovely smells!’ Santie exclaimed. ‘An Earl Grey for me, though, this morning. Can you see an empty table? It looks awfully full to me.’ They maneuvered into the little café, squeezing between chairs and having to leave the pram near the entrance. In a sunny corner below a skylight they found an empty table next to two elderly women. Santie placed their order while Janet bounced KJ on her knee and they passed him back and forth, playing ride a cockhorse till the small boy gurgled with delight. Janet turns in her chair to look at the speaker, finding only a pair of sightless, grey eyes and a white cane. The heavy set woman is quite elderly but not at all frail, probably in her seventies. An endearing smile stretches out the creases in her old face. ‘Yes, we are lucky. He is such a happy chappy.’ Janet always includes her friend, Santie. Their refreshments came, and Santie asked for a dab of whipped cream to go on the Cape Gooseberry tart. They have kept up their Sunday morning routine since KJ was born, cycling for a shorter time, but riding much faster. Whatever the changes that the baby brought, it did not take them long to realise that their old life style needed only a few adaptations. Friends would still see them flying passed on their bikes, and enjoying whipped cream on their tart. They chatted back and forth with the old lady, her friend not saying much. The blind lady is a veritable store of interesting reminiscences, and it was not long before they knew that she lost her sight at twenty-five. They exclaimed later with wonder how the old woman could have lived such a full life, coping apparently so adequately with her disability. They watch her expertly fork a piece of melktart into her mouth, shaking their heads. ‘I have a son,’ she told them, ‘but mostly he is too busy to spend time with his old mother, so Muriel and I come here instead.’ She hesitated. ‘Do you think I could hold your child? It’s such a long time since I’ve held a little boy.’ Janet was dubious, but finally passed her son over to the old lady, KJ settling quickly into the wide expanse of her lap. They wonder how he would take to the stranger, but he sat quietly in her arms looking up into her sightless eyes. She rubbed her hand gently over his face feeling the shape of the forehead and tracing the shape of his jawbone and his eye sockets. After a time she passed him back, but Santie takes him, playing gently with the child. ‘It’s time we left, my dear,’ the friendly old woman’s companion said eventually. They said their goodbyes, thinking they would probably not pass again, or only like ships in the night, not even knowing each other’s names. ‘What a nice woman,’ said Santie. ‘It’s time we left, too.’ They packed up their goods and all the baby paraphernalia and were soon wending their way home. It came as quite a surprise when they found themselves sitting next to the two old women again the following Saturday. The cafe was full to overflowing, but there were luckily two places at their table. This time they did their introductions. ‘Just call me Ouma. This is my friend Muriel,’ she said. ‘How many grandchildren do you have, Ouma?’ asked Santie. She speaks in Afrikaans for the first time. Looking up, the old woman answered with a chuckle; ‘None. Somebody first called me that about ten years ago at church and the name seems to have stuck. I even introduce myself as Ouma Jansen now,’ she laughed, her Afrikaans accent thick and unusual. ‘Do you come here every Saturday?’ asked Janet. ‘Mostly. We old ducks also enjoy a bit of the Mall now and then.’ Janet loves Ouma’s gay personality. She exudes none of the bitterness of so many of her elderly acquaintances. Janet wonders if it is because of her disability. They notice that the ladies are smartly dressed, even over dressed for a Saturday morning at the mall. ‘It’s a nice routine, and routine is very important as you know for the very young, but also the very old.’ She gave another chuckle. 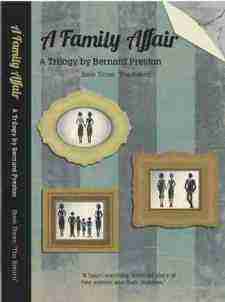 ‘We’re both widows, so life can be lonely at times,’ Muriel chirped in. The waiter came to take their order. ‘Are you with Ouma and Muriel?’ he asked. ‘Not really,’ answered Santie, surprised that he knew their names. ‘Yes, they are with us, Aldo, but that mustn’t make any difference. Please!’ Ouma said it a little hotly, but Janet and Santie did not grasp the little confrontation. ‘You shouldn’t do this, Aldo!’ Ouma was irritated with him. The waiter ignored her, a tiny suggestion of a smile tugging at the corners of his eyes, waiting patiently for Janet and Santie to place their order. They don’t realize it, but Aldo is the owner. He always serves Ouma and Muriel’s table himself. ‘Yes, of course. That is why I have such a successful little café.’ He winks at Muriel, but they think nothing of it. After taking their order, he left quickly. A long queue was forming as clients waited, some impatiently champing at the bit. Santie watched with interest, noticing him apologize to the waiting families and offering them a free cup of coffee while they waited. A good businessman at work, she concluded. The little café was obviously booming. Over the last few months Santie had found herself increasingly interested in what makes good businesses tick, but she found it hard to put her finger on Aldo’s obvious success. Two adjacent restaurants are obviously only half full. After a few minutes Aldo brought their refreshments, moving quickly on, leaving no chit. ‘Is he family?’ asked Janet, watching Aldo as he vanishes back into the bowels of the café. ‘It’s worth hearing,’ beamed Muriel. Just then the man himself appeared. ‘Is everything all right, ladies?’ He had fresh pots of tea and coffee, and topped up their cups. ‘Just ask her,’ he said with a knowing smile, moving on to serve other customers. Muriel nodded, taking up the story eagerly. ‘I have never had a prayer answered so quickly’. Janet felt distinctly uncomfortable with their enthusiasm. She recognized what her mother called oh be joyfuls. But she too was mystified as to how two old ladies could have possibly saved an ailing business. ‘Go on, Ouma,’ she said turning back to the old lady. ‘We had no sooner sat down the next Saturday when Aldo arrived, telling us in a very mournful tone, that this would be the second last week. ‘But we decided rather to bake bread rolls instead,’ said Muriel. ‘So what was the better to come?’ Janet chipped in. 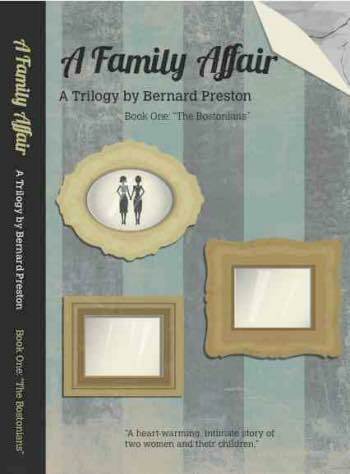 A Family Affair is a published trilogy by Bernard Preston; the fourth and fifth books are in the pipeline. ‘The part that was the most fun, though, was the children. That we are still doing every Monday,’ said Muriel. ‘We had twenty in our first group, but there were too many. Some got bored, and we wanted them all to get their hands tacky,’ Muriel piped in. ‘That would be nice, Aldo. Can we have that in writing? I’ve always wanted to go on a cruise.’ They all laughed. Santie had to go to work the following Saturday to see a client, and Janet and Klein-Jan wended their own way to do the weekly grocery shop. Janet found herself glancing at her watch, eager to meet Ouma again. She liked the old woman, but KJ was tired and crotchety, so she carried him on her arm. The small boy was teething, making him tearful but he was still wide-eyed and taking everything around him in. Janet pushed the pram quickly towards the café, her son on her hip, stopping suddenly and giving KJ a jolt that made him cry out. Janet put her hand to her mouth, and walked quickly past the coffee shop. KJ recognises Ouma, calling out to her, but Janet moves on, looking straight ahead and pretending not to recognize her. Ouma was sitting in her usual place, with a middle aged man. ‘Who is that passing by?’ Ouma asks. Bernard Preston is a retired chiropractor, self opinionated greenie, lover of life, Christian and author of six published books. ‘Funny, I thought I recognized the boy’s cry. Is he about a year old, with blonde hair?’ The man was about to lie, but thought the better of it: ‘Yes, he is actually.’ They speak in a strange tongue that no one recognises. The Fifth proudly watches his son vanishing down the long corridor, feeling something deep stirring for his child. He is my flesh and blood. With a start he realises: This is his grandmother. They said no more but Ouma was disturbed: she knew it was KJ calling out, and not some strange child. Eventually they leave, their second cups of cappuccino unfinished, each with their unspoken thoughts. ‘Who was that sitting with you last week, Ouma?’ Janet asked the following Saturday. Klein-Jan cries out eagerly when he sees the old woman and Santie places him into Ouma’s outstretched arms. ‘I didn’t want to interrupt your coffee with that man. Who is he?’ Janet repeats. Janet didn’t answer. KJ was sitting happily gurgling on Ouma’s lap when Janet suddenly made the connection. Ouma hears the little cry: ‘What is it my dear? Did I say something wrong?’ Janet just shakes her head, not trusting herself to say anything. Ouma can’t see her anguish. ‘Something’s bothering me, and I just can’t make it out!’ she exclaimed. ‘Our hands and ears become very finely attuned you know, much more so than in sighted people. They are trying to tell me something.’ Tiny rivulets of tears course down Janet’s face. She stands up hurriedly, leaving the table for the WC where great sighs of anguish, mixed with other emotions that she didn’t recognize, came bursting forth. She sobs for long moments, until Santie came to comfort her, holding her tightly in her arms. ‘Thank you,’ Janet said giving Santie a wan smile. Eventually the emotion passes. Janet wipes her eyes, and they return to their table where KJ is yowling on his grandmother’s lap. He has managed to catch hold of the cat’s tail whilst it was distracted over a morsel and it hadn’t taken kindly to his attention. ‘Klein-Jan, Ouma. Goodbye.’ She stoops briefly, giving the old lady a hug. Go from Klein Jan Jansen to Chapter Three, Ouma Jansen.